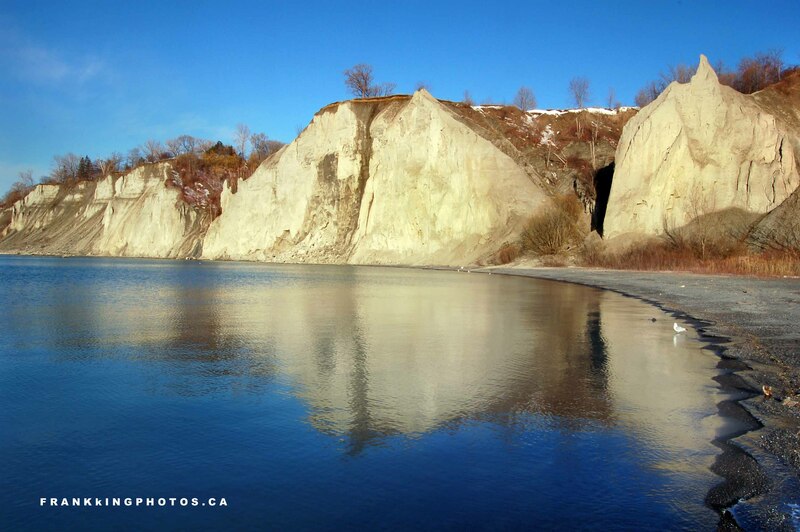 These bluffs are one of the most notable natural features in the Greater Toronto Area, Canada’s most populous region. The view is wonderful from the top, but on this spring morning, I was blessed to be at the bottom with almost no wind. Thus the impressive reflections. Nikon D50, tripod, polarizing filter. Very nice, the deep blue and the refelctions of the white bluffs is a great combination. You’re not bluffing when you say this is one of Toronto’s most notable natural features. I’d be out photographing it too on a fine morning like that (and let’s hope I get the chance to do so someday). Thanks! Morning is definitely the best time to photograph this scene.